When I first saw photos of Yumi travelers notebook inserts on Instagram I was curious because I liked the way the covers looked. The slate-colored insert (blanks) were especially cute, it looked like brushed steel. I’m very pleasantly surprised to get a couple of these as a birthday present–a blank insert and a weekly insert. My first impression was that the packaging looked really classy. I appreciate the effort made on it, because everything looked well put together. Also, how cute is that logo? The cover is not overly stiff, but it’s sturdy enough to keep it straight while bound by the elastics of my TN. The fly leaf looks nice. I usually just skip this if it’s blank, but having this on the first page means I can write something about the journal or put a quote there, or (like I usually do) write the dates of the first and last entries. Again, I appreciate the very obvious attention to detail, really nice. The inserts have 62 pages of ivory-colored, acid-free, 85gsm paper. It’s 4.37″ x 8.25″, or the size of your regular TN. 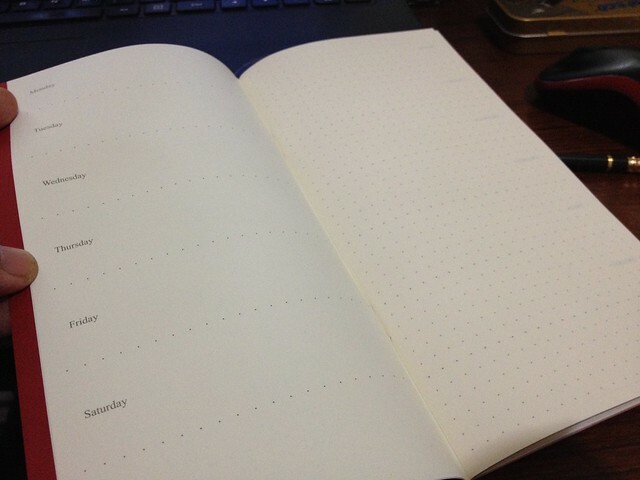 I love that I receive the blank insert because I prefer writing on blank pages rather than grid, dotted, or lined. 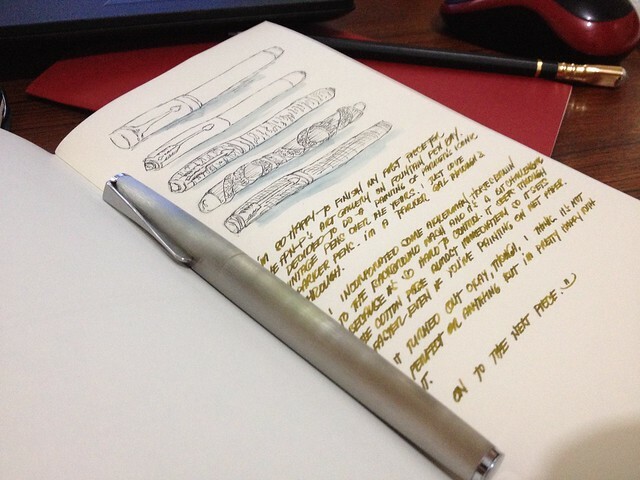 The paper is very smooth, I was initially worried that it would be like Rhodia pad papers which is sometimes difficult to write on if you have fine or dry-writing nibs. This one took ink very well. It’s really smooth but there’s no problem laying down ink on it. It can take very light washes, but there’s a bit of warping. It is superb for line drawings, though. 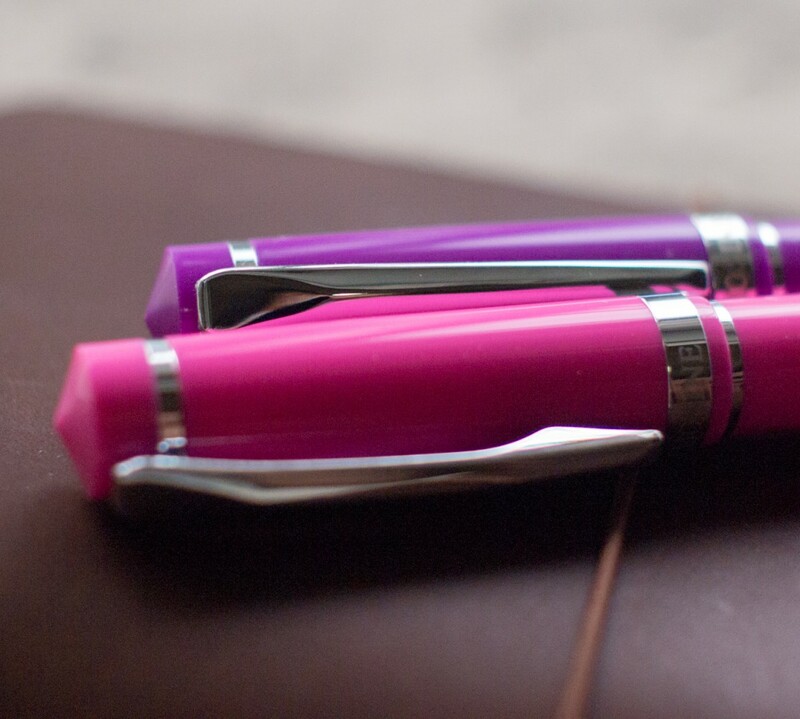 The paper is thin so it doesn’t bulk up your TN too much, and it feels nice to the touch. Almost a bit silky. 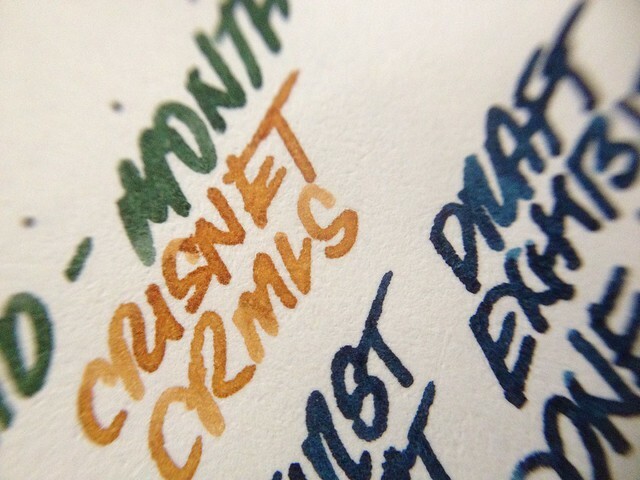 It brings out the shading and sheen of fountain pen inks quite well without dulling the color. 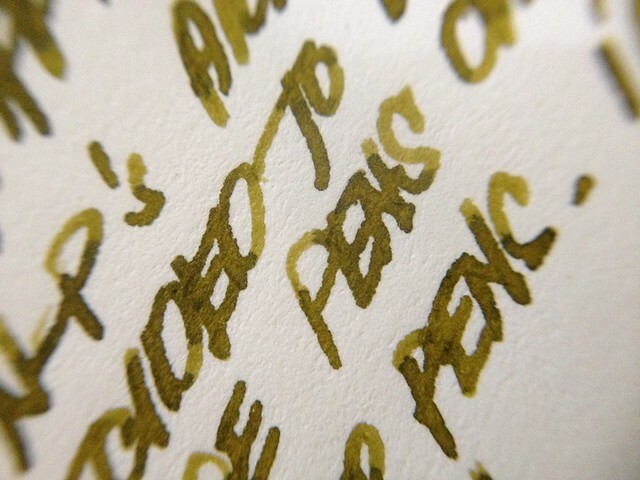 In fact it keeps the color of the ink vibrant. 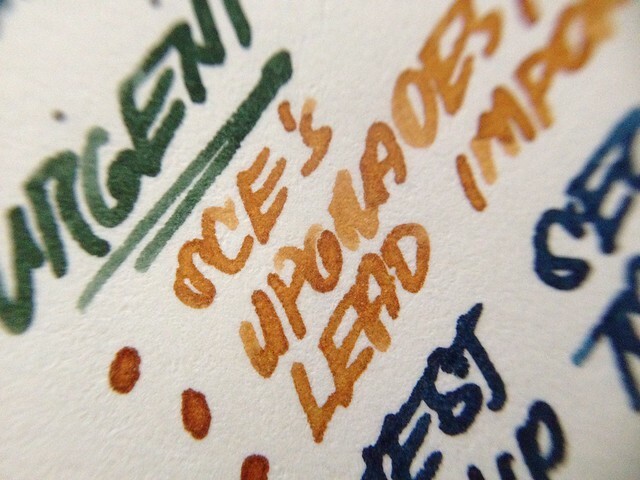 Here are a few close ups of the writing sample. It makes for some very expressive shading. I like how the colors just pop out of the page, it really complements the beauty of the inks. Their weekly planner has 7 days on one page and grid page on the right. I think it’s perfect for people like me who are very inconsistent with planning. One would probably need to use more than one insert for the year, though. 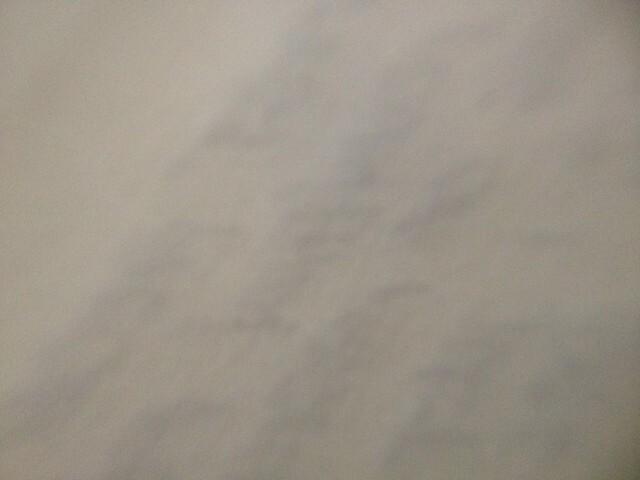 There is some show through at the back of the page, although it’s not very obvious. It’s not very bothersome. Overall, it’s a really nice TN insert. I think it’s very pretty, and thoughtfully done. I’m adding this to my Paper Collection page. I really love it when I discover new TNs that have great paper. Regular sized TN inserts aren’t usually available in bookstores like National Bookstore, so they’re relatively harder to find. 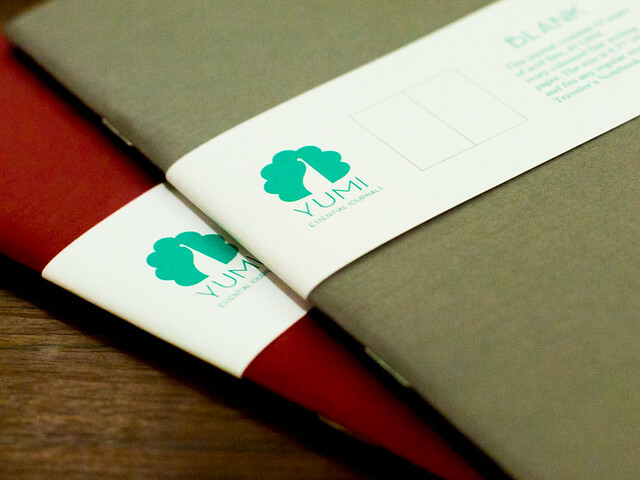 Yumi inserts are available at Stationer Extraordinaire. Hi! I just discovered your blog and am really enjoying it. I would love to know what blue ink you’re using in this review. Thanks! Hallo! I believe this is Tsuki-Yo, if i recall correctly. 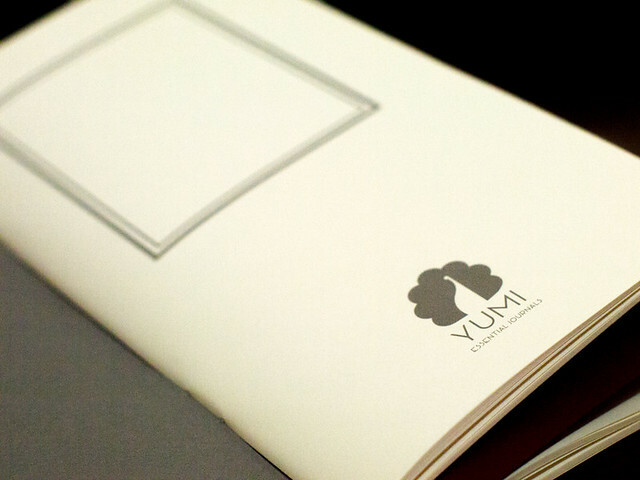 I just got a Yumi journal myself to fill my Traveler’s Notebook with. 🙂 Looks like the paper quality is similar, yeah?